WARNING: There are some images of purported atrocities against children at the end of this article. They are extremely graphic. Please exercise extreme caution. 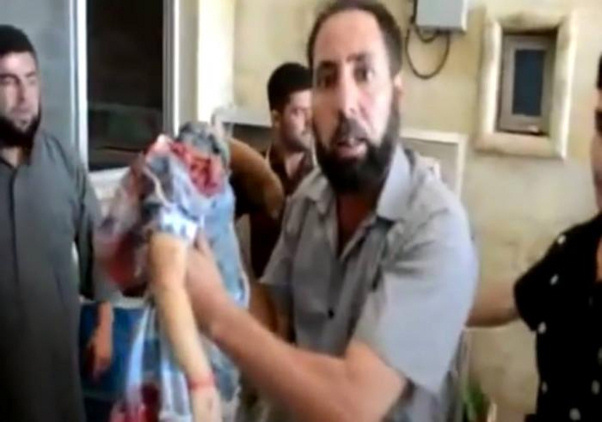 The images of atrocities by Muslim fighters in Iraq – and Syria – against their soldier and civilian enemies have been have circulating for some time already. There have been reports, many documented in images and even videos, of ISIS crucifixions, executions, mass burials and worse. But now Americans collectively are being left gasping by a flood of new reports and photographs depicting such horrors being inflicted on children. One such report came recently from the Anglican Communion News Service, which said the son, age 5, of a founder of Baghdad’s Anglican church was “cut in half during an attack by the Islamic State,” a name by which ISIS also is known. “An emotional Canon Andrew White told ACNS that he christened the boy several years ago, and that the child’s parents had named the lad Andrew after him,” the report said. “I’m almost in tears because I’ve just had somebody in my room whose little child was cut in half,” he said. “I baptized his child in my church in Baghdad. This little boy, they named him after me – he was called Andrew,” White told the agency. The report said it happened in the Christian village of Qaraqosh after Kurdish forces left and ISIS Muslims arrived. “The world hasn’t seen this kind of atrocity in generations,” he told CNN. Jeff King, who is the chief of International Christian Concern, has staff members traveling into and through Iraq, tracking down information and pursuing ministry goals. He said agencies and readers always should be a little skeptical of random images being posted online, because there’s likely an element of propaganda in such disputes. Some of the recent images appear that they may have been staged, he said. But others appear genuine. The Anglican report quoted Archbishop of Canterbury Justin Welby saying, “The horrific events in Iraq rightly call our attention and sorrow yet again. Christians and other religious minorities are being killed and face terrible suffering. Officials with Barnabas Aid, which also is involved in providing assistance to the persecuted church worldwide, reported recently that “hundreds of thousands” of Iraqi Christians are facing a “humanitarian crisis” while fleeing from the terror of ISIS Muslims. “At least 200,000 Christians are now thought to be fleeing towards the Iraqi Kurdistan region. Some of the displaced had already fled to the Nineveh plain from Mosul, which was taken by ISIS. … A number of towns have reportedly been completely emptied of their Christian populations,” the report said. 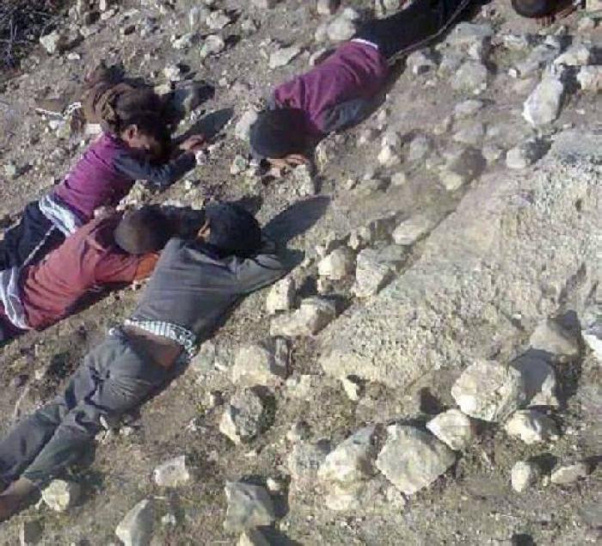 The images show children lying in rocky fields where they died, a woman whose throat was cut, the decapitated bodies of children. 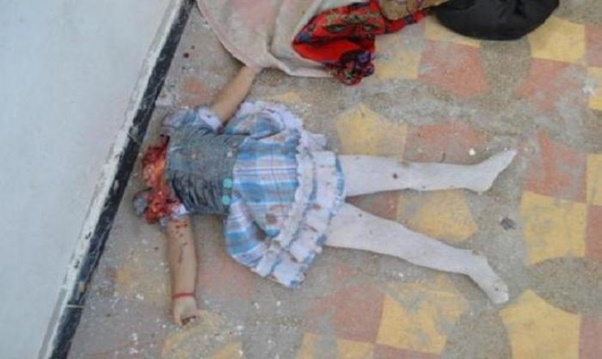 A Gospel Coalition “Factchecker” is warning that one of the images reportedly goes back to 2013 when it was claimed she was a Muslim Syrian girl named Fatima Meghlaj who was decapitated when Syrian forces shelled her home. “This is a disaster of almost unparalleled proportions for Christians,” he said. Targeting innocents just because of their faith, he said, is unacceptable. WARNING: Following this are some images of purported atrocities against children at the end of this article. These are extremely graphic. Please exercise extreme caution.